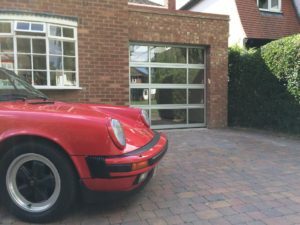 Our client had a clear view of what he wanted to complete his new garage extension. 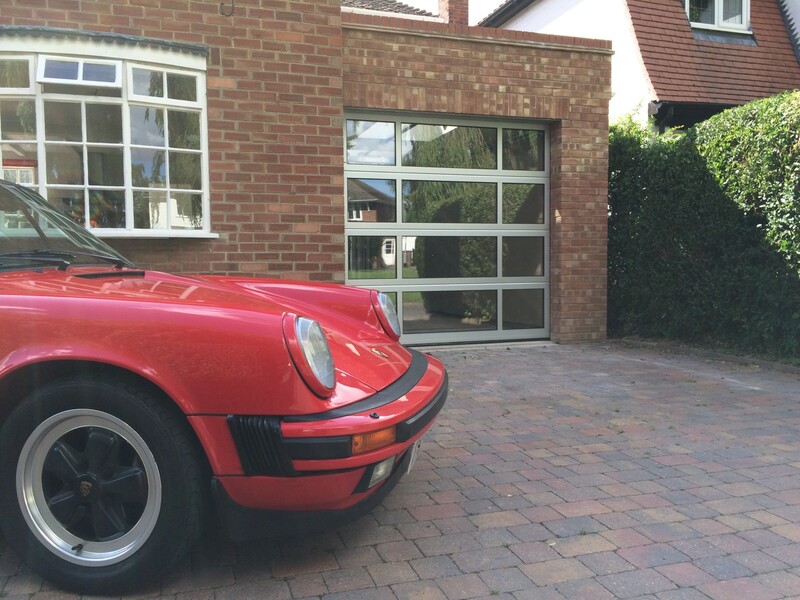 Byron Doors Ryterna FV Thermo aluminium sectional garage door in anodized silver with double glazed windows. 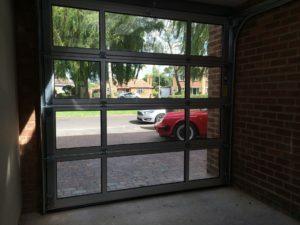 A Ryterna FV sectional garage door. This door uses a thermally broken aluminium frame system and on this project Triplex double glazed safety glass. 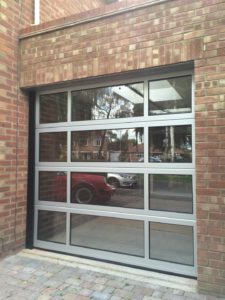 The door is finished in a silver anodized coating and the glass is clear with no tint. A Marantec Comfort C280 motor system lifts and lowers the door at the press of a button.